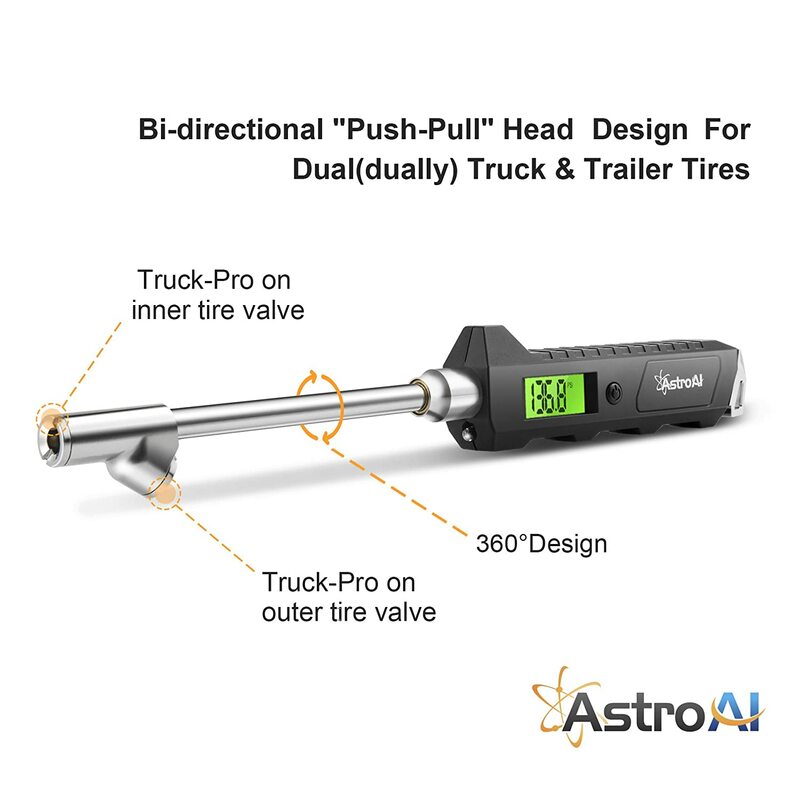 Bi-directional 'Push-Pull' Head Design For Dual(dually) Truck & Trailer Tires. 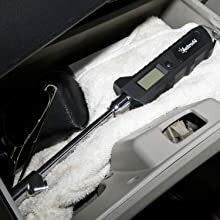 Flashlight and large backlit LCD display for visibility in dimly light areas help you easily measure your vehicle\'s tire pressure. 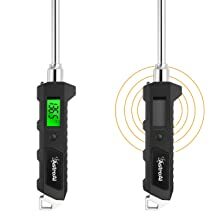 Heavy Duty stainless steel made to maintain correct tire pressure; Digital display reading instantly and clearly being shown, no longer do the guesswork of analog gauges. 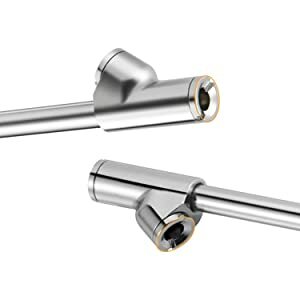 Versatile use for cars, trucks, motorcycles, bicycles etc. 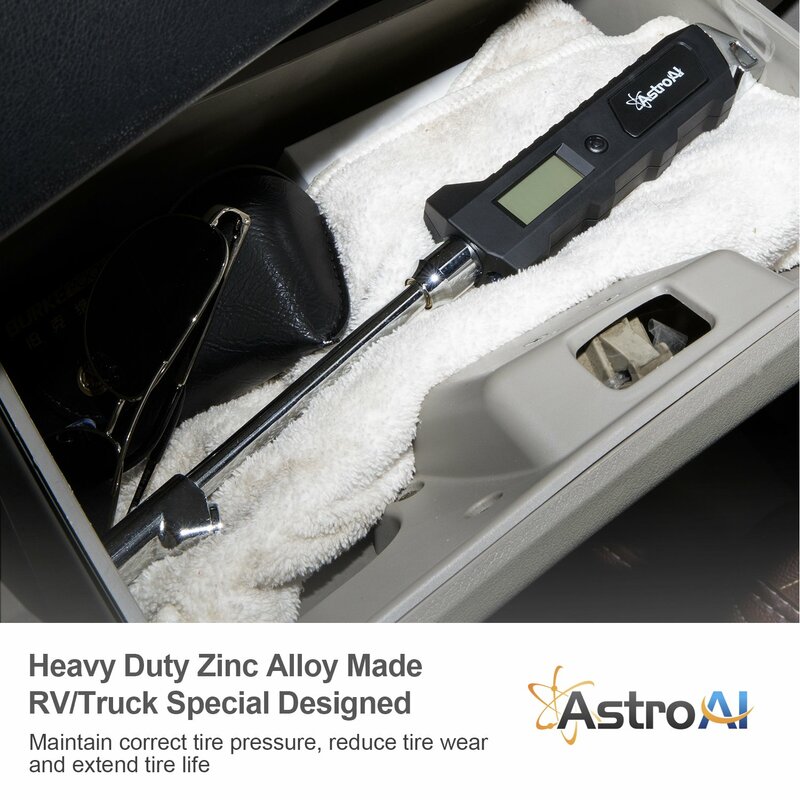 The AstroAI RV/Truck Special Designed Digital Tire Pressure Gauge with longer range 0-230PSI in the market helps you maintain correct tire pressure, reduce tire wear and extend tire life. 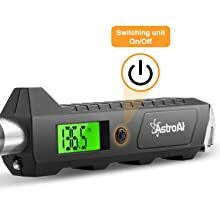 The Backlit LCD display is for visibility in dimly light areas and the accurate and easy-to-read digits help you easily measure your vehicle's tire pressure. 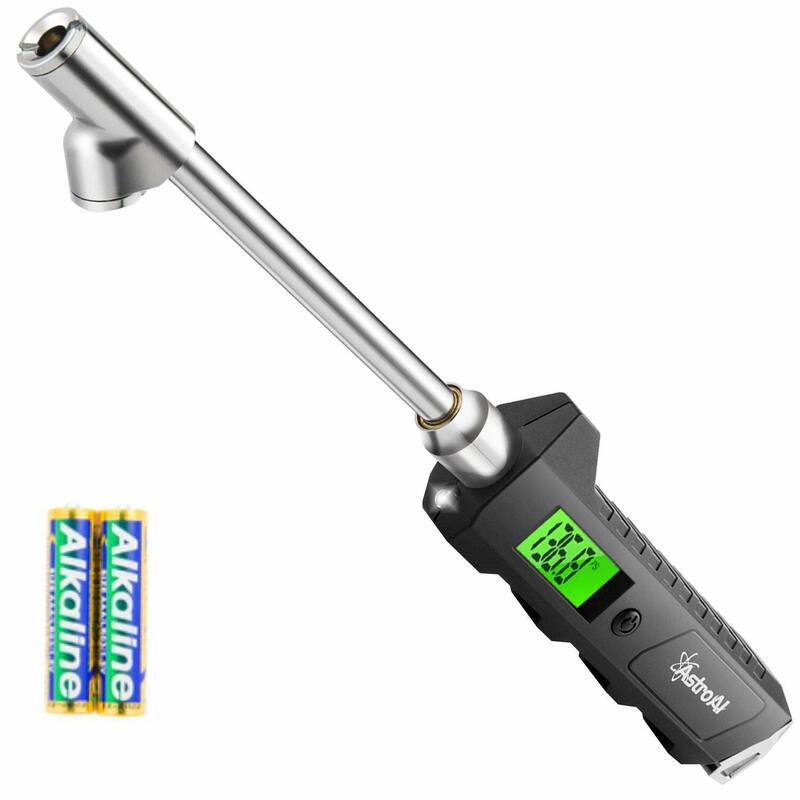 The tire gauge is made by Heavy duty Stainless Steel and its design is Bi-directional "push-pull" head for dual truck & trailer tires. 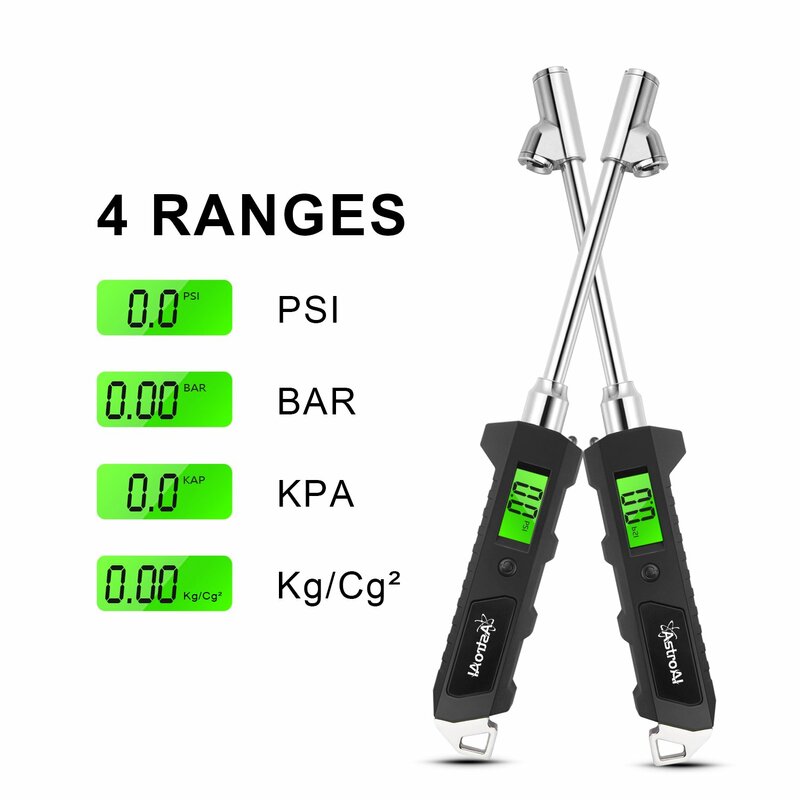 The tool provides 4 settings with range: 0-230 PSI / 0-16 Bar / 0-16 Kg/cm2 / 0-1585 Kpa and the ergonomic design and non-slip texture are both suitable for men and women's hands. 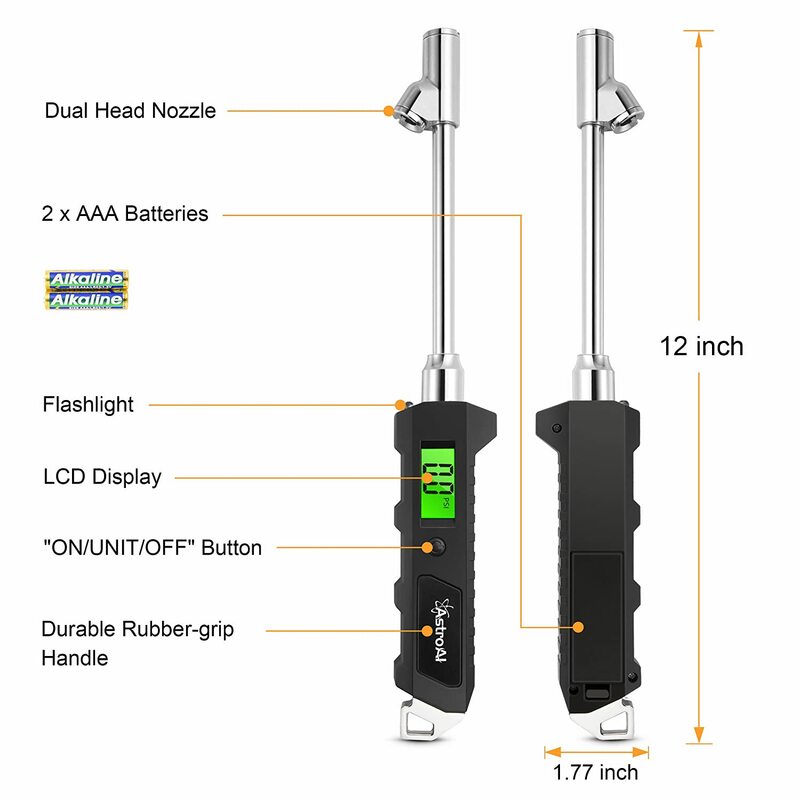 Versatile use for trucks, RV, cars, motorcycles, bicycles etc. 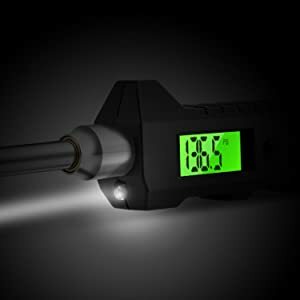 LCD green backlight digital display, simple to read and use no matter at day or night. 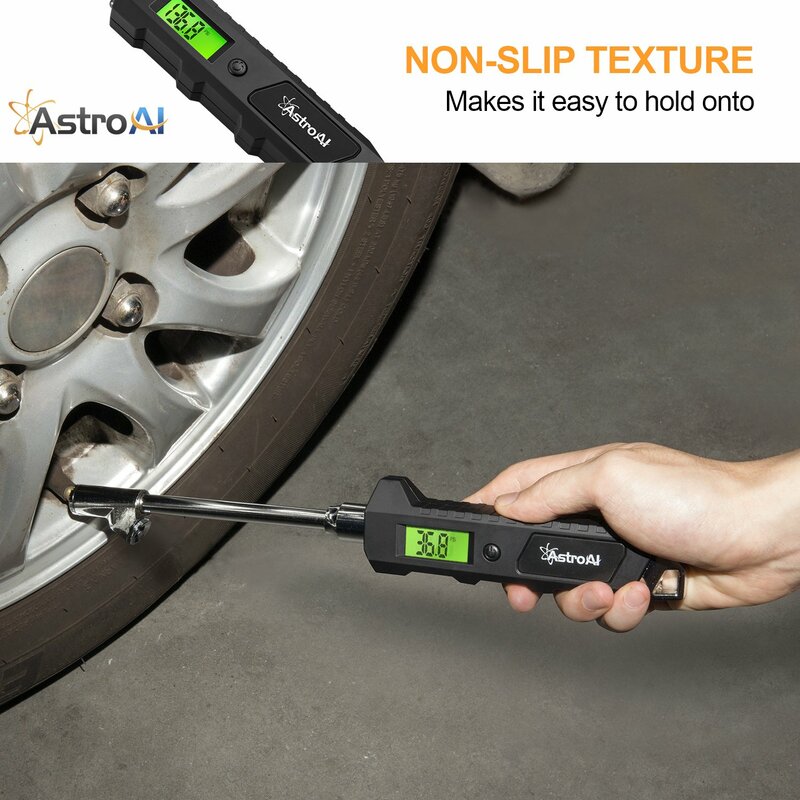 Place the nozzle of the gauge over the tire valve. Press firmly to ensure good seal and prevent air from escaping. 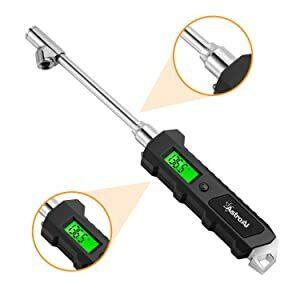 Hold gauge on the valve until the reading on the LCD display locks. 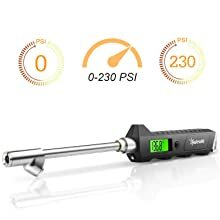 Remove the gauge quickly from the valve and read pressure. 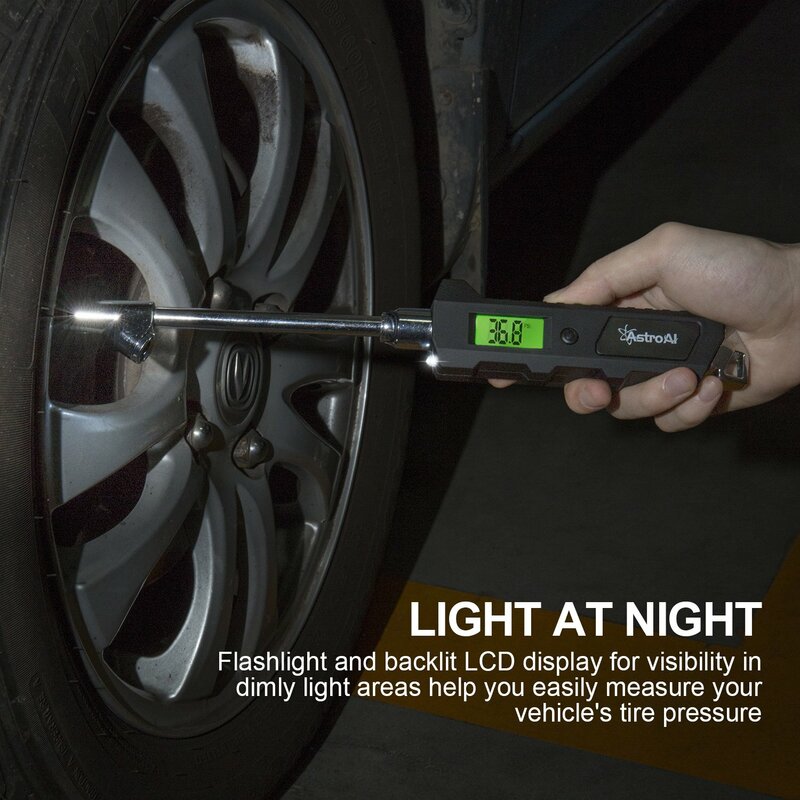 If the gauge reads a lower pressure than what is recommended on the placard, you should inflate the tire accordingly.